What better way to enjoy the summer heat than use a tarp as a slip and slide and create your own water park! Well with an abundance of tarps to choose from this is what we did at the weekend to keep both kids and adults entertained. Firstly we selected a tarp that was durable but most importantly long enough to gain maximum slide time. 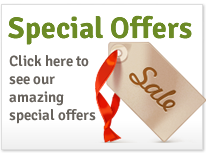 In this instance we selected a 250gsm green/brown tarp that was 3m x 12m - approximately 10ft x 39ft. This tarp was both wide enough for some lateral slipping and long enough for some extended sliding. We then made sure the tarp was pegged down at the top and bottom just to keep the sheet in place, the eyelets around the perimeter of the tarp are useful for this. However make sure the pegs are knocked flush to the ground so they are not protruding and can cause injury. We then selected a site in the garden that was suitable to lay the tarp, ensure there are no stones or other objects that can rip the tarp and more importantly cause injury. Fortunately our garden has a gentle slope which was great for extra sliding speed so we hooked up a sprinkler at the top of the tarp which gave constant water. We then used Johnsons baby wash as a lubricant, this was our lather of choice as it is mild and gentle and leaves you moisturised and fresh smelling at the same time. Also saves giving the kids an evening bath! Make sure the tarp is well watered as it can get hot in a few places and then you're ready to go. The adults did a few runs to begin with which gave the little ones the confidence to follow, hours of slippery fun were then had by all which also helped keep us cool in the summer heat. 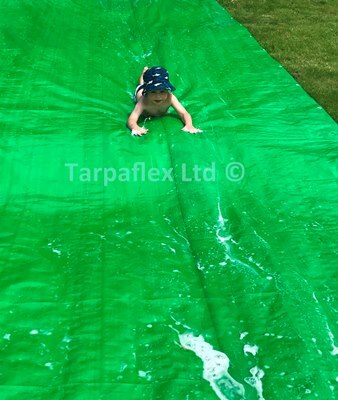 By the end of the evening plans were then being hatched for a longer and wider slide, the vision was to use a 9m x 23m tarp with multiple lanes for slip and slide racing with a ramp at the end falling into a pool created using a hay bale tarp. This is a dream for our next project so watch this space! 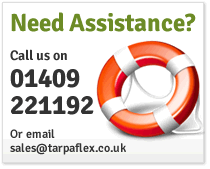 Tarpaflex is a family run business, based in Devon with over twenty years experience within the business. 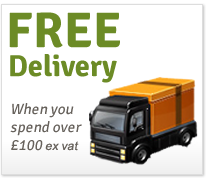 Over the years they have become one of the most highly respected and established tarpaulin suppliers in the UK.